Jurors have been selected in the trial of notorious Mexican drug lord Joaquin “El Chapo” Guzman. Seven women and five men will decide if Guzman is guilty of 11 charges related to trafficking, money laundering and firearms. 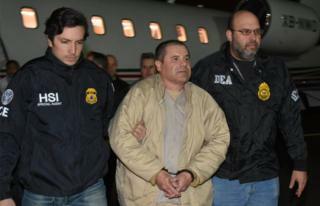 If convicted, the leader of the infamous Sinaloa Cartel could face life in prison. Guzman – whose nickname “El Chapo” roughly means “Shorty” in English – twice escaped prisons in Mexico before he was extradited to the US in January 2017.
Who is ‘El Chapo’ Guzman? His trial in a federal court in Brooklyn will begin on 13 November and could last up to four months. 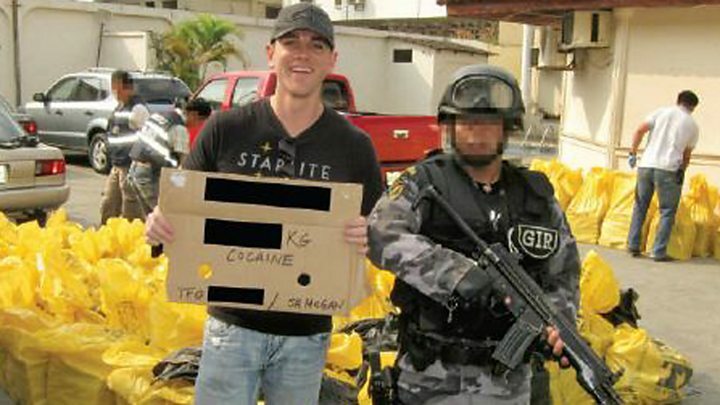 US prosecutors say the Sinaloa cartel under Guzman’s tenure shipped vast amounts of heroin, methamphetamines, cocaine and marijuana into the US. Guzman’s lawyers have reportedly hinted they plan to argue he had a smaller role in the cartel than is believed. While nearly all said they had heard of Guzman before being called for jury duty, they said they would be impartial in the trial. Prosecutors said the stringent security conditions were necessary to protect jurors. They said Guzman has a history of intimidating or ordering the murders of potential witnesses, a claim his defence denies. Several potential jurors were excused after expressing fear about participating. One woman reportedly wept after learning she was picked, and said she was fearful of the attention she would get if she was found out to be on the panel. She remains a part of the jury. However, others were excused for more particular reasons. One man, who was born in Medellín in Colombia, was not chosen after admitting he was a “bit of a fan” of Guzman’s, and had tried to get his autograph. Another said his job as a Michael Jackson impersonator made him too well-known to serve, while a third man was reportedly recused after saying he had heard of Guzman thanks to a bagel named after the criminal at a deli near his home – a fact which, if made public, could lead to the man’s identification.